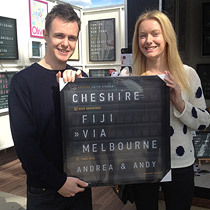 This lovely English couple living in Melbourne found us at the St Kilda Market and came back the next week with a plan in mind...which was to take back their personalised wedding airport board to Cheshire for their wedding on October 18. 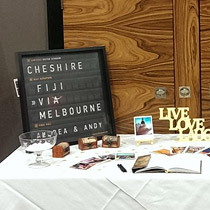 As with weddings, (LOL) our airports require a little planning. Dean helped bring their vision to life by suggesting possibilities. 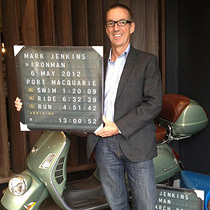 A great way to commemorate the coming together of two people in marriage. 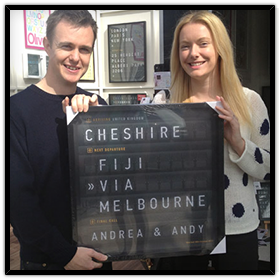 This can be a great gift from friends or family. 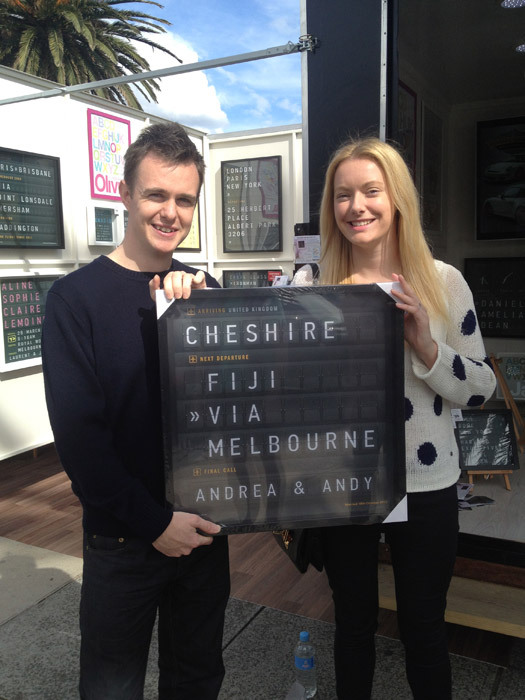 The two Andy's (pictured below) even put in their honeymoon destination. 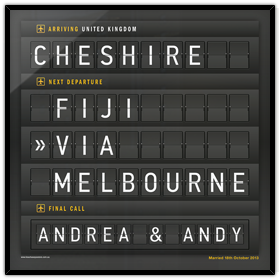 We can personalise your wedding airport board in any way. How's that for a wedding plan. . . Hi Dean, that's amazing, exactly what we were looking for. 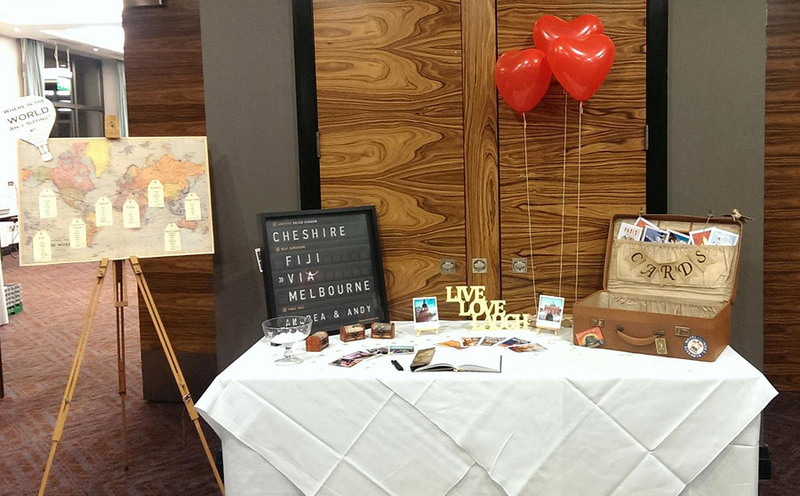 Everyone at the wedding loved it and it fitted perfectly for our travel theme. Thanks again, for designing and creating an amazing unique poster, it's an amazing idea. .